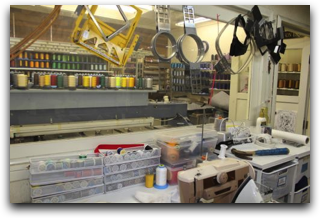 Corki’s Embroidery is a family owned business, and an offshoot of Nikki’s flags, purchased in 1966 by Barbara (Corki) Rawlings. As the two businesses continued to grow, Corki decided to split the two in 1994 and keep the embroidery business. Starting with a hand guided machine and progressing forward with two digitally run machines today, Corki continues to provide beautiful custom embroidery as well as thousands of catalog designs. Having been a business owner in the Newport area for the last FIFTY years, Corki has enjoyed supporting the community and serving her new and long time customers.